We are on the Gold Coast in Queensland for a short getaway this week. It's so nice to have a change of scenery & go to the beach. Our little one can't get enough of the sea & the sand. I've been coming here every year since I was a kid, so it feels like my second home. I know my way around & what's new & what's old. 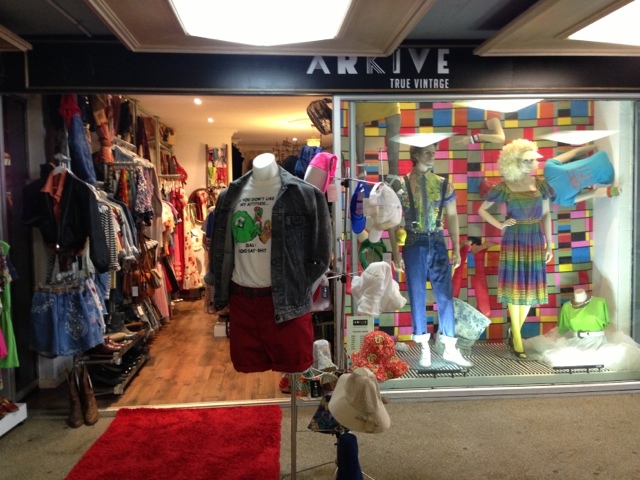 So with my afternoon off today, I headed straight to the Gold Coasts hidden gem, Arkive, a True Vintage store hidden upstairs in the Centre Arcade (the arcade next to sportsgirl) I remember visiting it last year but didn't get a chance to have a good look. This visit I did and it was such fun. They have a great collection of men's shirts, surfers shorts, tees & knits - all of which are unisex. 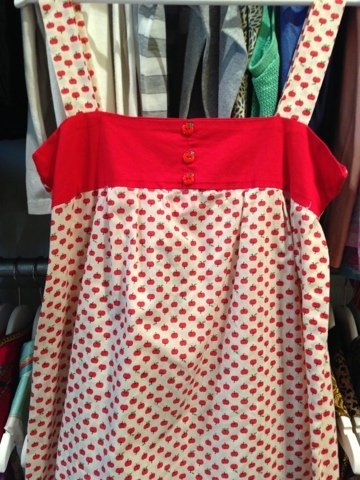 They also have some great dresses, short sleeve silk tops & bags for the girls. I had a great chat with Jake, the owner. No wonder the vintage stock is first class he worked in vintage clothing stores & learnt his trade in Shoreditch, East London where all the cool kids hang out (I did a year in London & loved this area for its always buzzing vibe). 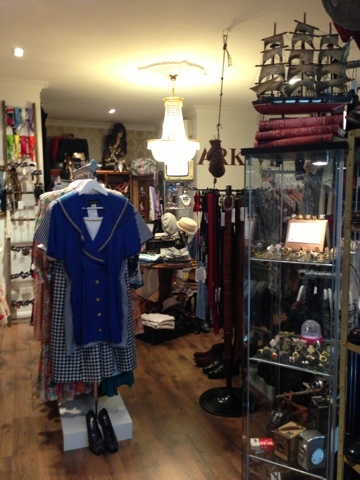 Shoreditch is vintage heaven (think Kate Moss & Pete Doherty) and Jake (who is English) & his wife Angie (a former employee of rokit 5 - the UK's largest vintage clothing company) have brought a piece of this vintage heaven to the Gold Coast. A lot of their pieces come from the UK & Paris & some from the US. 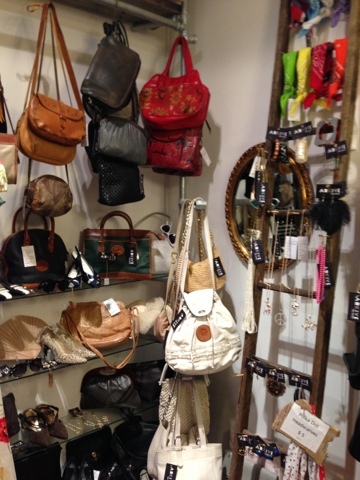 Prices are really reasonable & there is heaps to choose from. I love the anticipation of vintage shopping, the feeling that you may strike gold, and if you do knowing that no one else will have it on this season!!! Well, I did strike gold! 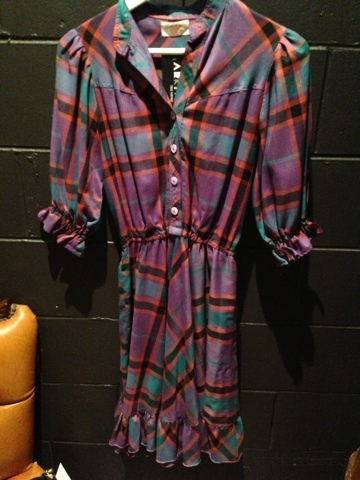 I found this purple checked 3/4 sleeve dress for $55. 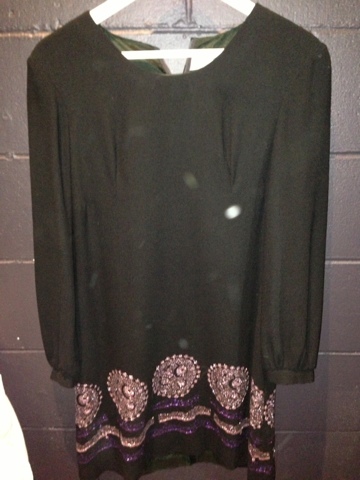 Teamed with black leggings, a beaded belt & ankle boots it will be perfect this winter. I'll post a pic of me in it when the weather turns cold! So, if you're not on or visiting the Gold Coast, rest assure you can still hunt virtually... head to instagram & their Facebook page where they have an abundance of great pics of clothing & accessories that you can buy & will ship worldwide! 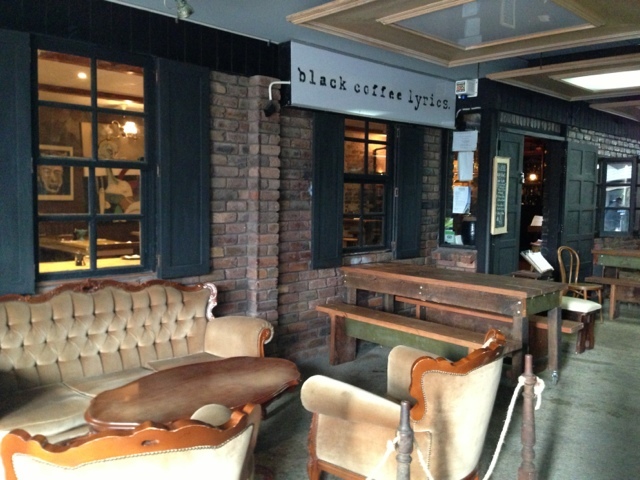 Oh and when you're done browsing Arkive Vintage you can pop next door for a drink & a bite at black coffee lyrics - an equally cool coffee shop!